Cassie and I are sharing four books with you: two recent favorites (and the factors that made us love them) and two upcoming reads (and the factors interest us). We hope you'll find the perfect book for you! Back in 2013, I kept hearing a ton of buzz for Life After Life. It seemed like everywhere I turned, people were talking about this book! The premise intrigued me, so I decided to put it on my Christmas wishlist. I was gifted a copy that year, but the book languished on my shelves ever since. It wasn't until I was working on my 2015 End of the Year Survey that I realized it was the one book on my shelves that I wanted to be absolutely sure to read in 2016. It ended up being one of my first reads of the year, and I'm so glad I finally picked it up! 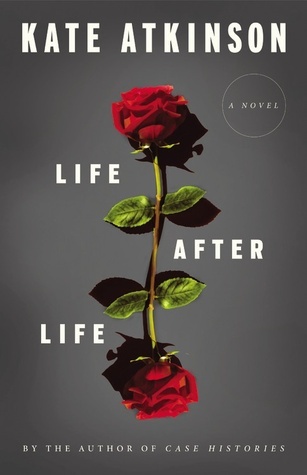 Part of the appeal of Life After Life is the concept: Ursula Todd is born on a cold and snowy night in 1910, but as she grows, she also dies, repeatedly, in a number of ways. There is a pattern to the unpredictability of life - for every time she is reborn, her life turns out a little differently. When I first started reading the book, I'll admit that I was super confused. But the longer I read, the more immersed and engaged I became in the heroine and in her life. Atkinson manages to avoid making the book feel repetitive. Instead, I thought the plot and the writing were incredibly imaginative and wonderfully gripping! I read the entire 500-page book in day, despite the sometimes weighty and complex subject matter. I'm already planning to read the companion novel, A God in Ruins, at some point this year. Although it's not an easy read, I'm so obsessed with it! I think it's time to admit that I've fallen under the Outlander spell. I read the first book back in 2014 and loved it (in spite of some major reservations about certain aspects of it). I noted in my review that I was unsure of whether or not I wanted to continue the series. But when I found Dragonfly in Amber at the used bookstore for $3 a few months later, I couldn't resist. I quite enjoyed it, even though I'll probably always find aspects of these books slightly ridiculous. And yet... I keep coming back for more. When I finally finished watching the first season of the TV show earlier this year, I found myself craving more of these characters. So, I picked up Voyager and prepared for an epic and entertaining journey. I was hooked from the very first page! I don't know if it was the timing, my mood or simply that this story worked better for me, but I absolutely loved reading this book. In some ways, it might be my favorite of the series so far! At the end of Dragonfly in Amber, Claire learns some shocking news. 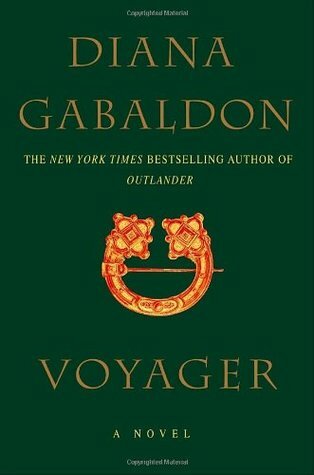 Much of the beginning part of Voyager deals with the repercussions of what Claire has learned, as well as what's happening in the past that she left behind. She's forced to make a seemingly impossible decision, and I loved seeing her weigh her options, finally make her choice and then follow her as she saw it through. There were a few parts (particularly toward the end) that I found really odd, but it was a huge win for me overall. I so loved it - the romance, adventure and shifting setting - and I can't wait to see where Gabaldon takes these characters next! I'll definitely be picking up Drums in Autumn soon. I've had Rules of Civility sitting on my shelves since Christmas 2011. If you read my thoughts on Life After Life above, you're probably noticing my terrible pattern of letting the books I receive for Christmas sit on my shelves for far too long. 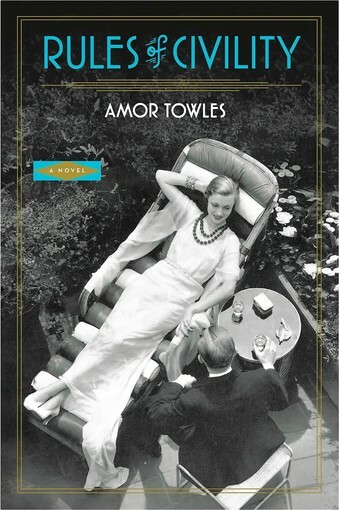 I remember asking for this book because I heard great things about the writing, and the setting appealed to me because I'm typically a fan of this time period in books. Unfortunately, I let it fall off my mental radar... However, it was mentioned recently on my favorite podcast, which reminded me that I've really got to read it soon. Everything that was said about it made it sound right up my alley! I'm a huge fan of Pride and Prejudice retellings, even though they're very hit or miss. I usually spend too much time comparing them to the original, and yet I can't stop coming back to them! 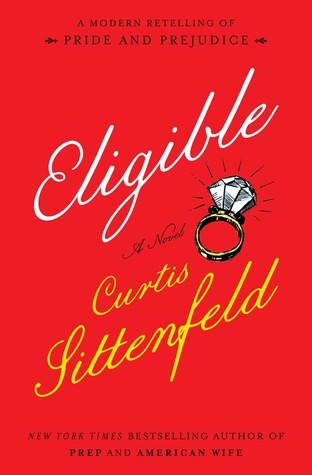 I'm a little more nervous than usual with Eligible because I tried to read something by Sittenfeld previously and hated it, but the reviews for this one seem mostly positive so far and that has me intrigued! And I'm a sucker for this cover - I love that it's still eye-catching in its simplicity. I look forward to seeing how Sittenfeld updates Austen's beloved story for modern times - and whether or not she's able to retain the charm of the original. I hope she pulls it off! Want more? Check out Cassie's post! Welcome to the Outlander fan club! I'm with you -- VOYAGER is my favorite thus far (I've read through book 4, so I realize that doesn't say much, but still). It had a little bit of everything. Modern day, historical, time travel, Claire & Jamie, Bri & Roger, travel in general, family secrets, strange drama, etc. I'm on book 6 of Outlander and while I also admit that some of the plot lines are a little out there, I still can't put it down. I'm to the point now that I'm hesitant to read too fast because she takes like 3-4 years to write a book and I don't want to be out of reading material. I want to strangle Stephan Bonnet. I'm glad to see Life After Life in this post! I was intrigued by this one before, but wanted to wait and see if any of my friends would/had read it so I could get a general idea of what they thought. And to see that you loved it (even though it took you a while to get into) makes me feel encouraged to check it out :) Also, I'm still not sure I'll ever try Outlander BUT your enthusiasm when you do talk about the books kind of makes me want to at times. We'll see if I give in!